No question: When it comes to LGBT and HIV activism, Judith Light is the boss. The Emmy-winning ’80s TV icon now enlightens viewers as Shelly Pfefferman, the ex-wife of a trans woman, in Amazon’s Golden Globe–winning streaming series Transparent, this year’s most Emmy-nominated comedy. Returning to Broadway this fall in Thérèse Raquin, the two-time Tony winner is determined to make a difference with her one life to live. 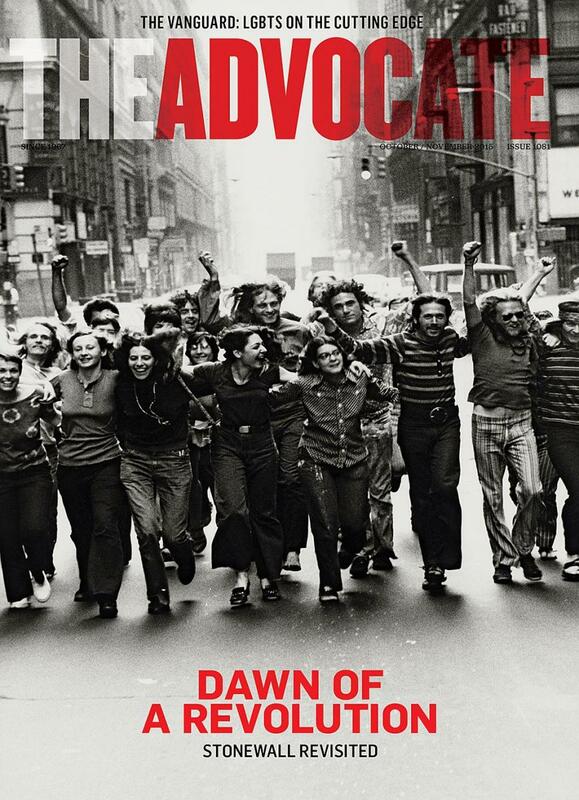 The Advocate: You’ve been fighting for LGBT rights since long before it was fashionable. In fact, you graced the cover of The Advocate for a story about straight allies in 1996. What a felicitous time for us to catch up. Judith Light: It is! Who would’ve thought back then that we’d have marriage equality? But this incredible, inspiring community came together and put one foot in front of the other. How did you celebrate the Supreme Court ruling? We were at work on Transparent, so I was sharing in the love and joy everyone was experiencing. But I wasn’t jumping up and down — it was more of a deep, profound satisfaction that comes with knowing what was wrong had finally been made right. Your activism began in earnest when you played the mother of Ryan White, who became a poster child for the AIDS crisis, in the 1989 TV movie The Ryan White Story. Do celebrities have a responsibility to raise awareness of social issues? I don’t know that they do. I felt I had a responsibility. When I met my manager, Herb Hamsher, in 1979, I’d been teetering on leaving the business. I was doing One Life to Live, and I thought, What difference is my life making? I told Herb, “If I ever get any notoriety, I need to find a way to make a difference.” Certainly, he and his partner, Jonathan, have guided my career in a remarkable way. Whether I’m involved with Broadway Cares/Equity Fights AIDS while doing a play or working with Project Angel Food when I’m shooting in Los Angeles, it’s always been about where I can do the most good. Have you gotten backlash from conservative fans? After The Ryan White Story, people wrote and told me they’d never watch me again. I pay very little attention to that. I pay attention to letters I get from sons who say I made them feel strong enough to come out to their families. I pay attention to letters from mothers who, because of something I’ve said, have been able to embrace their children. What are your thoughts on PrEP? I’m supportive of anything that can help prevent the spread of HIV, but we also need to educate young people. Use what’s available to you, but please use your head as well. Look back at your history, my children. Use a condom. Your television work has brought you into so many homes. Has that helped your message influence a mainstream audience? Absolutely. They might say, “Oh, wait, she thinks this is OK? She talks about how we’re one community and should live a true life? Maybe I should take another look at this.” That’s why Transparent is such an important show. So many people have been educated, moved, and empowered by it. Because you play the ex-wife of a trans woman, have you taken note of Kris Jenner’s reaction to her ex-husband’s transition? It’s hard to avoid. But I tend to focus more on Caitlyn, whose magnificence is saving lives. She’s not living in regret. She’s living in the joy of who she’s finally able to be. It delights me. She’s a model for so many people — not just for the LGBT community but for the straight community as well. She’s teaching all of us how to live our lives freely, openly, and beautifully. What’s it like to be a part of Transparent during this watershed moment for trans visibility? The Advocate, October/November 2015 issue.